Landers Chrysler Dodge Jeep Ram of Norman, Oklahoma, has an epic selection of inventory that includes Ram 2500s. Need a truck that’s tough enough to handle your rough and tumble lifestyle? The all-new 2019 Ram 2500 can handle it all — and then some! With several exciting, heavy-duty trims to choose from, the all-new Ram 2500 is ready and able to do all the heavy lifting, so you don’t have to. Buckle up, get ready, and let’s take a closer look at this Ram favorite. Just click here to check out our current inventory! Technology: Standard in the 2019 Ram 2500 is the 8.4” touchscreen that makes accessing directions, phone calls, messages and music even easier than before. The onboard UConnect system allows effortless access to Sirius XM Radio, Android Auto Apple CarPlay, and even functions as a 4G LTE hotspot if you need wireless access on the go. With Apple and Android compatibility, anyone with a smartphone can access their phone’s data directly through the new Ram 2500. Another cool and innovative technology feature is the Cargo-View Camera, a camera that allows the driver full visual access to whatever cargo may be in the truck bed. That’s one less thing you’ll have to worry about in the all-new Ram 2500. A full-color 7” instrument cluster built into the dash includes a speedometer, fuel gauge, tachometer, and more for easy access to important information at just a glance. Other tech features like the Parkview Rear Back-Up Camera and the ParkSense Front and Rear Park Assist System are meant to make your drive in the 2019 Ram 2500 both easier and safer overall. Design: Of the many exciting features of the all-new Ram 2500, one in particular is incredibly resourceful and innovative: the Rambox Cargo Management System. More than just a box for belongings, this exclusive storage system is built into the side of the truck for maximum cargo space and efficiency. By gaining the ability to store items in the sides of the Ram 2500, you now have even more free space in the truck bed for heavier, more obtuse items. The available bed divider makes it easy to separate and organize items while you’re on the go. Working at night is no longer an issue either, as the 2019 Ram 2500 has available LED Bed Lighting to illuminate your workspace no matter where you may be. The all-new Ram 2500 also offers an available rear axle structural crossmember that comes factory-installed and seamlessly connects your trailer with the heavy-duty frame of the 2500. Performance: When you first lay eyes on the all-new Ram 2500, it’s plain to see that this truck was designed with outrageous performance in mind. Once you buckle up and turn it on–the performance speaks for itself. 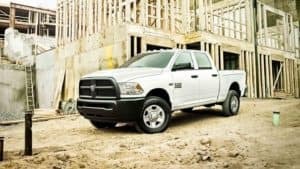 For starters, the 2019 Ram 2500 alone has a maximum payload of over 3,900 pounds with the gas engine. And with a max diesel towing capacity of over 17,000 pounds, the Ram 2500 puts other trucks to shame with its sheer, awesome power. Arriving standard in the Ram 2500 is the 5.7-liter V8 engine that has an output of 410 horsepower and 429 pound-feet of torque — so not only is it strong, it’s fast enough to leave competitors in the dust. If you live in an area where it is likely to snow, opt for the available Snow Chief Package. Equipped, your Ram 2500 will come with a limited slip axle, clearance lamps, a transfer case skid plate, 18” on- and off-road tires, and a 220-amp alternator for outstanding performance in even the most wintery of conditions. Ready to get hauling in the all-new Ram 2500? 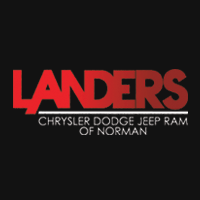 Come see us at Landers Chrysler Dodge Jeep Ram of Norman today and click here!